“The Novel is finished!” From the fifth draft onwards, that was my declaration after completing each revision of my novel which has the working title, ‘Auguste in September’. It is a story of skulduggery in the world of art. It wasn’t until 2016 began to draw to a close that the declaration began to be made more in truth than in hope. Even then, there was the small matter of a punchy synopsis to write. Oh, and a snappy pitch. The package has now been sent to a literary agent, who I hope is smitten. If not, I shall move resolutely on in the hope of finding one who is! Earlier in 2016 I had decided to put aside my draft of ‘The Fruits of Rashness’, in order to focus on ‘Auguste in September’. In 2017 I aim to go back to Rashness and rewrite the novel from a new point of view. I still love the short story form. It demands a different approach to the novel. There is less opportunity for layering of plot and deepening of character. But that doesn’t mean the short story cannot be complex. 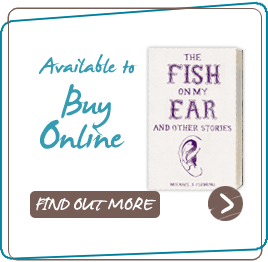 I wrote a whole bunch of stories in 2016 and will consider whether a new collection, to follow on from 2012’s ‘The Fish on My Ear’, is something that should be out there.